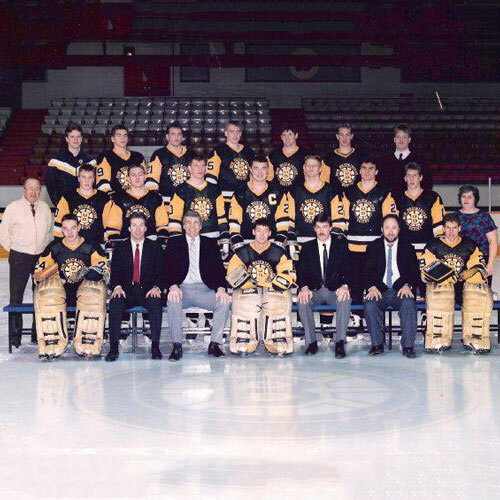 Andy Moog was born in Penticton, British Columbia on February 18, 1960, and almost from the first day, he was destined to carry on a family tradition and make a name for himself in the hockey world. The son of Shirley and Don Moog, Andy came by his hockey heritage honestly. His father was a goaltender for the Penticton Vees when they won the World Hockey Championship in 1955. Andy soon established himself as a rock-solid netminder himself. After playing minor hockey in Penticton, Andy advanced to the junior ranks, first in the B.C. 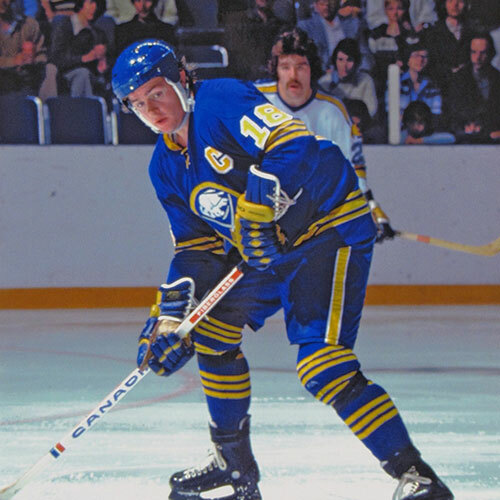 Junior Hockey League, and then on to the Billings Bighorns of the Western Hockey League, where he was named a W.H.L. all star in 1979/80. Andy’s talents caught the eye of the NHL’s Edmonton Oilers, who made Andy their sixth pick – 132nd overall – in the 1980 NHL entry draft. He made his debut with the Oilers the following season, appearing in just seven regular season games. He also suited up for nine playoff games for the Oilers that season. Andy also split the following season between the Oilers and their Central Hockey League farm team, the Wichita Wind, but he had given Oilers fans a taste of great things to come. Andy joined the Oilers for good in the 1982/83 season, and was instrumental in the upstart Oilers’ charge to the Stanley Cup finals against the powerhouse New York Islanders. The following season marked the first of three straight Stanley Cup championships for Andy and the Oilers, and the dynasty was born. Andy remained with the Oilers until the end of the 1986/87 campaign. 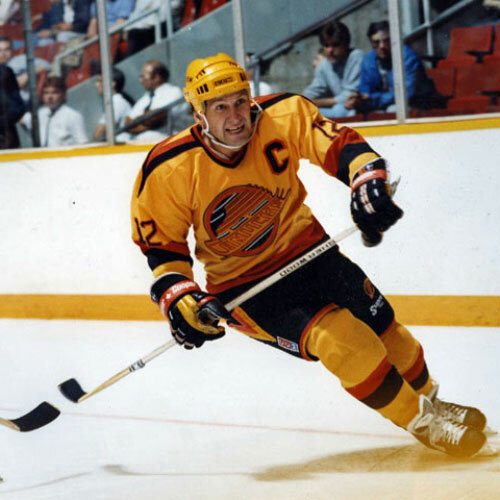 He left the team and spent much of the next season with the Canadian National Team and the Canadian Olympic Team, appearing in the 1988 Calgary Olympic Games. 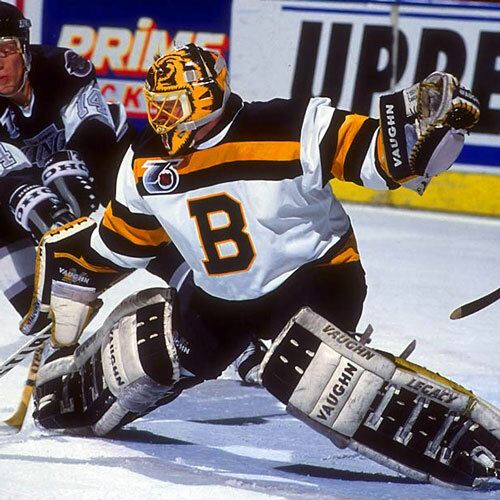 Andy resurfaced in the NHL at the end of the 1987/88 season, when he started a five-year stint with the Boston Bruins. From Boston Andy was traded to the Dallas Stars. After four years in the Lone Star State, Andy signed a free agent contract with the Montreal Canadiens in of July 1997. Andy played one season for the Canadiens before announcing his retirement from professional hockey on June 22, 1998. But even though his playing days were over, he certainly had no thoughts of slowing down, or leaving the NHL behind him. Before the year was over, Andy was back on an NHL payroll, this time as a goaltending consultant for the Atlanta Thrashers, were scheduled to join the NHL the following season. The plan was for Andy to help the team prepare for its first season in the league by evaluating the goaltenders throughout the league, as well as taking a look at young up-and-coming netminders, who might be available to the Thrashers the following summer. “Goaltending is the position we are going to build this franchise around (and) Andy brings a wealth of netminding experience and – more importantly – a feel for what it takes to win in the NHL,” said Thrashers’ general manager Don Waddell at the time. Andy left the Thrashers organization and took a job closer to his hometown when he joined the Vancouver Canucks in August of 1999, again as a goaltending consultant. In addition to evaluating their available netminding talent, Andy was also responsible for working one-on-one with the netminders on the Canucks and in the team’s farm system. In addition to his duties with the Thrashers and the Canucks, Andy was also keeping himself busy with hockey at another level, as the managing general partner and president of the Western Professional Hockey League’s Fort Worth Brahmas. Throughout his playing career Andy Moog truly put some Hall of Fame numbers on the board. During his 18 years in the league he became only the 10th netminder ever to win 300 games. He reached that milestone on March 18, 1994. He went on to post a career record of 372 wins, only 209 losses and 88 ties. His career winning percentage of .622 is one of the highest ever.